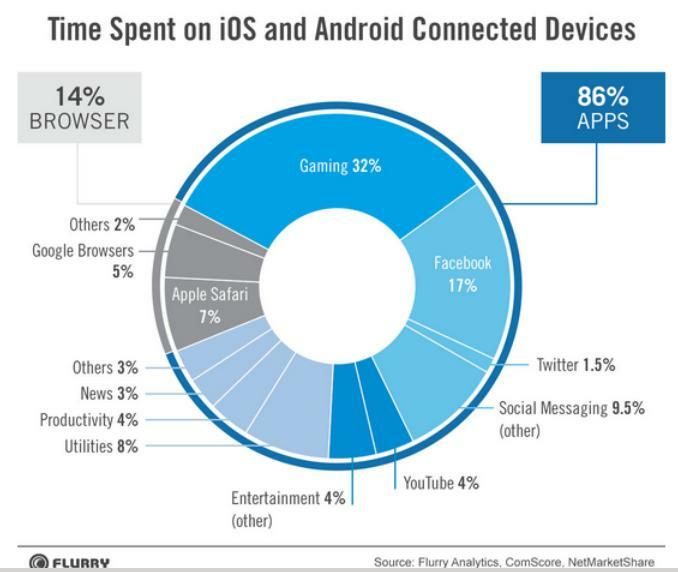 I didn’t have time before to comment on a tweet I saw last April: “Mobile Web is dead. It’s all about apps. Hmmm, are we sure? That’s not what that pie chart tells me. I see a different, much more serious issue there. If that’s how things stand, what is dead or dying is the usage of mobile devices for doing anything else than playing, disposable chatting or passive content consumption, just like in that old Pioneer commercial. In other words, considering that mobile devices are the only devices for more and more people every year, never mind the Mobile Web: what may be dying or at least in bad shape may be the percentage of active citizens.